FREETOWN, Apr 25 2012 (IPS) - When the verdict against Liberia’s former President Charles Taylor for war crimes in Sierra Leone is handed down on Thursday, it will be of no help to the many former combatants of the country’s brutal civil war who have not been reintegrated into society. Instead, they will continue to pose a threat to Sierra Leone’s future stability. Taylor is being tried by the Special Court for Sierra Leone at The Hague. He is charged with crimes against humanity, mass killings, sexual violence and the use of child soldiers through his support of the rebel Revolutionary United Front in exchange for “blood diamonds”. Taylor is alleged to have masterminded the use of drug-fuelled child soldiers in combat. 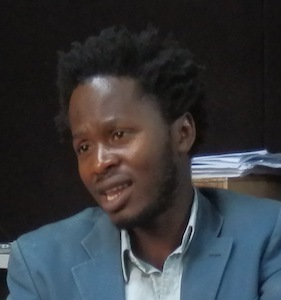 Ishmael Beah is one of those former child soldiers. He was forced to join Sierra Leone’s 1991-2002 civil war at the age of 13, when he was recruited into the government army. While he has been able to turn his life around and was appointed the United Nations Children’s Fund (UNICEF) first Advocate for Children Affected by War in 2007, Beah worries about the country’s former child soldiers who are now unemployed. “If Taylor is found guilty, it will be a great victory, not only for Sierra Leone, but for the whole of West Africa,” says Beah, who fought in the army for three years before being rescued by UNICEF. Beah says that with Sierra Leone’s elections approaching in November, the youth should be employed in order to avoid them being used by political parties to disrupt the electoral process. “One of my greatest fears in Sierra Leone now is, if you have a large number of disgruntled and idle young people who have nothing to do with themselves, you have the possibility of sparking anything,” says Beah. In September 2011, political violence in the southern city of Bo left one dead and 23 injured. The government’s Kevin Lewis Commission of Inquiry into the incident found that political parties were using ex-combatants as unofficial bodyguards. Political violence later erupted across the country in January after a by-election. Unemployed youth are easy targets for recruitment, says Beah. “The guy hasn’t had anything to eat for today, so he is not thinking long term, he’s thinking short term, about what he can eat now,” says Beah. The U.N. estimates that 10,000 child soldiers were used in Sierra Leone’s brutal civil war. During it rebels cut off the arms of those who had voted in the country’s elections, and left more than 50,000 people dead. The U.N.-brokered Disarmament, Demobilisation and Reintegration (DDR) process was meant to disarm and provide training to former fighters, and support them to rejoin their communities. Ex-combatants received vocational training in areas such as mechanics, driving and carpentry. According to a 2005 U.N. report titled Disarmament, Demobilization, Reintegration and Stability in Africa, about 71,000 ex-combatants were disarmed and demobilised. But many former fighters say that the programme did not work. Tamba Fasuluku was known as “Rainu” when he was the commander of a rebel faction called the West Side Boys. Fasuluku says that he was fortunate to be reintegrated into society and now works as a pastor. But he says that many of the young boys his forces conscripted have not been so lucky. He agrees that most of the political violence in Sierra Leone is perpetrated by ex-combatants. He says it is because they were given access to arms and exposed to violence at a tender age during the war. He adds that it is also because their families and society are yet to welcome them back as members of the community. “If the government and other stakeholders do not come together to take these boys off the streets, they will continue to go astray, and that’s dangerous for peace,” says Fasuluku. Dr. Alfred Jarret, the head of sociology and social work at Freetown’s Fourah Bay College, calls the DDR programme an “abysmal failure”. “I can’t go home again,” Sesay says, explaining that he now lives as an unemployed youth in the capital, Freetown. Jarret says ex-combatants were not well trained and because of Sierra Leone’s high unemployment rate many were unable to find work. According to the Ministry of Labour, the national youth unemployment rate was about 46 percent in 2008. The professor also says that former fighters face discrimination from potential employers and society at large. Until the government revisits its policy on ex-combatants and tries to engage them, it will pose a serious threat to the country’s security, says Jarret. The government itself says it offers no support to former fighters. Ibrahim Satie Kamara is the spokesperson for the National Commission for Social Action, the government agency responsible for the reparation programme for victims of the conflict. Kamara says that the government’s reparations programmes cater for victims, such as amputees, the severely war-wounded, and children affected by the war. Ex-combatants, including former child soldiers, fell under the DDR process. There is no government reparation programme for them, he says. Kamara adds that war victims are discontent with the amount of support being given to former fighters, who are often viewed as perpetrators who unleashed suffering on the people. Beah says the former DDR programme worked well for some but others missed out or needed more help. And now there is nothing left to help them.